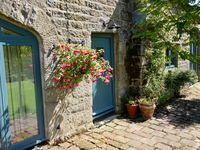 Property 20: Visit the beautiful Yorkshire Dales - walking, relaxing,swimming, barbecuing. Property 39: Fell Beck is a beautiful holiday cottage located in Yorkshire with amazing views. B&B in private annex - separate to main house - very quiet with own entrance. Property 40: B&B in private annex - separate to main house - very quiet with own entrance. Property 42: Quaint Mobile home in private farmyard. 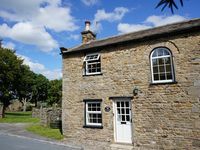 Property 44: The Old Chapel, Buckden, The Yorkshire Dales. Pets welcome. Garage and garden. Perfect cottage in a perfect town with perfect hosts. The property was just lovely and quite spacious for our family of four. It had all the amenities that you would need. We highly recommend it and would most certainly stay there again.